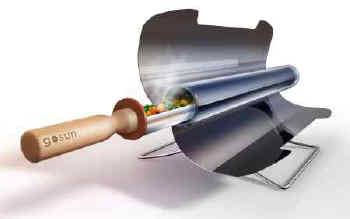 GoSun Sport solar cooker is the world’s most practical and efficient solar oven on the market today. GoSun’s parabolic, tubular design works effectively in retaining 80-90% of all sunlight that is caught in its footprint. 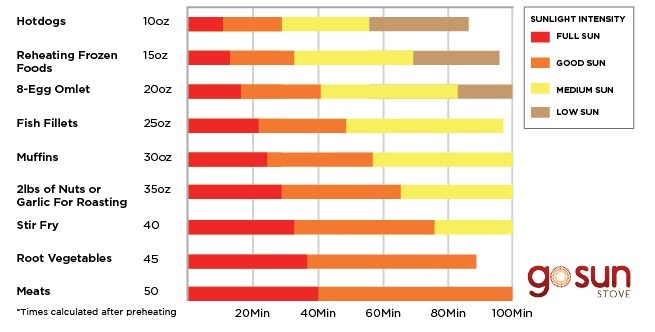 Cook a meal in less than 20 minutes, using no fuel – only sun. 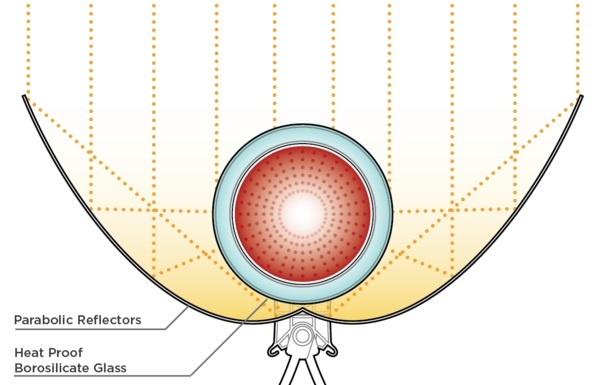 The standard package includes a Pyrex® evacuated tube cooking chamber, two foldable parabolic reflectors that protect the tube like a clamshell, a cooking tray with handle for getting food in and out, a cleaning scrubby, and a carrying handle that becomes a set of support legs which can be used to adjust the tube to face the sun in any position along two axis’. The Sport’s compound parabolic reflectors and tubular design converts nearly 80% of all sunlight entering it’s refectories into useable heat. The standard package includes a durable borosilicate, evacuated glass tube cooking chamber, two foldable parabolic reflectors that fold to protect the tube like a clamshell, a stainless steel cooking tray, a rugged scrubby cleaning tool that attaches onto the tray's end and stainless steel carrying handles.